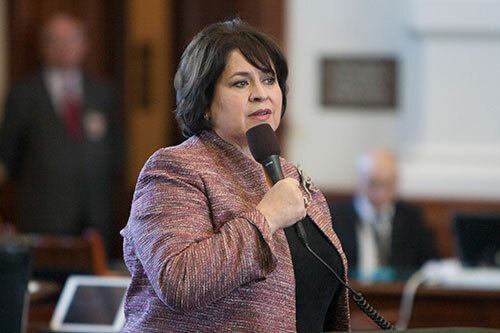 Senator Leticia Van de Putte of San Antonio speaks on the Senate floor. Lt. 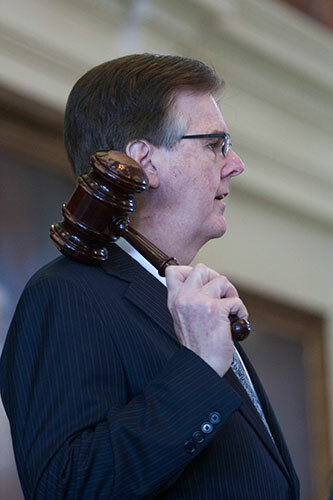 Governor Dan Patrick presides over the Senate from the rostrum. 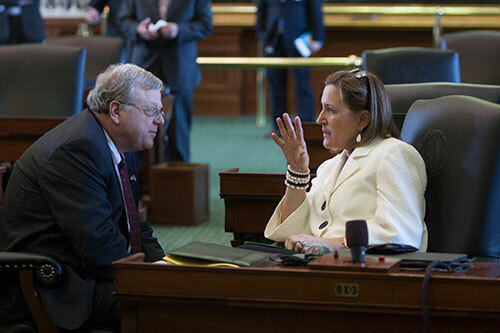 Senator Konni Burton of Colleyville talks with Senator Paul Bettencourt of Houston. 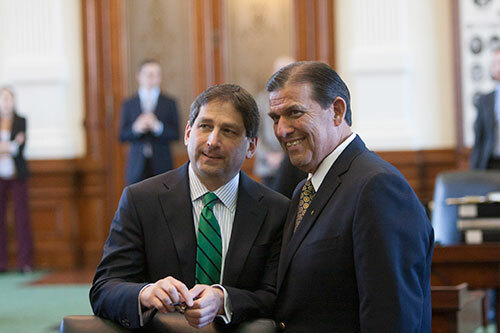 Tyler Senator Kevin Eltife (left) talks with Senator Eddie Lucio of Brownsville. 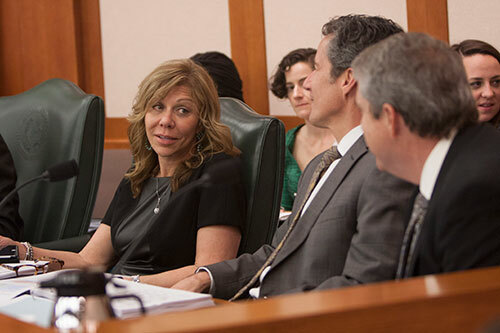 Senator Joan Huffman of Southside Place confers with colleagues Senator Kelly Hancock of Richland Hills (center) and Senator Larry Taylor of Friendswood at a Finance Committee hearing. 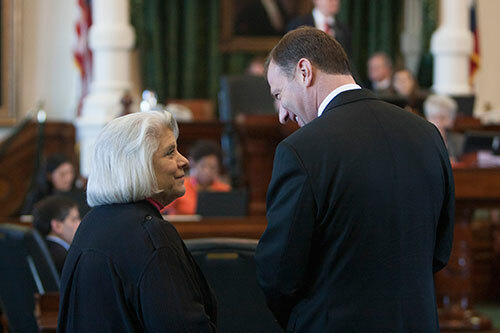 Senator Judith Zaffirini of Laredo talks with Senator Charles Schwertner of Georgetown. 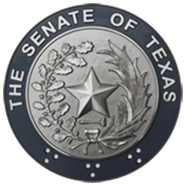 McAllen Senator Juan "Chuy" Hinojosa talks with Lt. 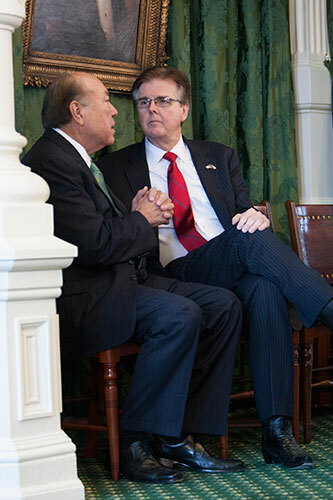 Governor Dan Patrick (right) on the rostrum in the Chamber. 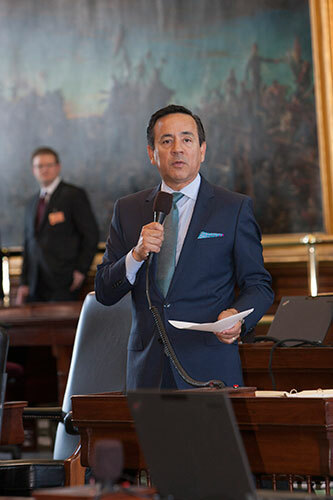 Senator Carlos Uresti of San Antonio speaks on the mic. 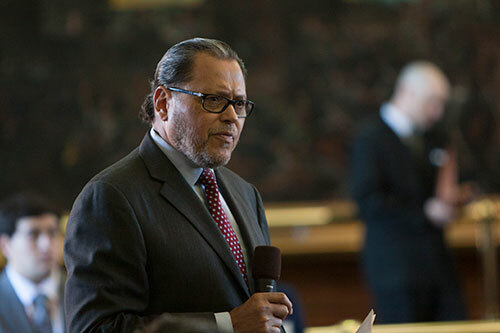 Senator José Rodríguez of El Paso speaks on the Senate floor. 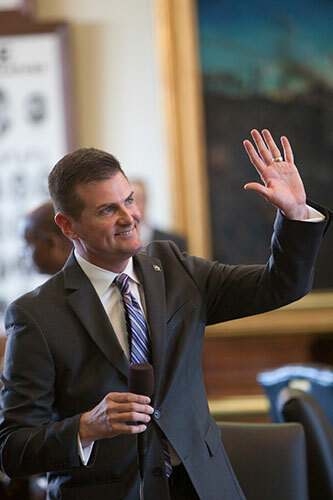 Senator Brandon Creighton waves to constituents in the gallery. 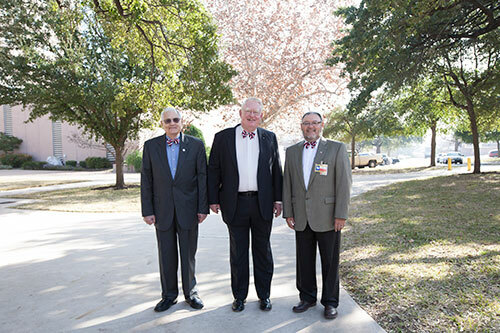 Senate doormen dressed for Bow Tie Wednesday. 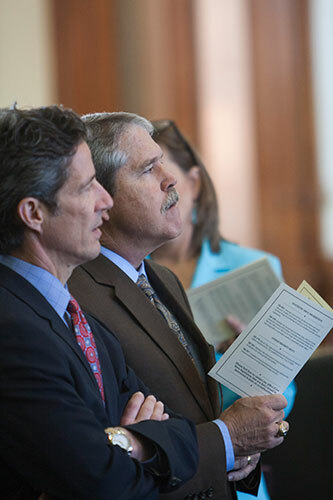 Senator Kelly Hancock of Richland Hills stands with colleague Senator Larry Taylor of Friendswood in the Chamber. 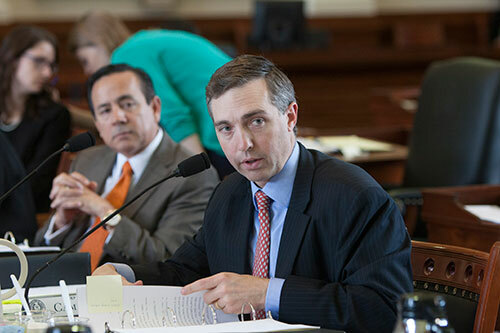 Senator Van Taylor asks questions at a Health and Human Services Committee hearing.